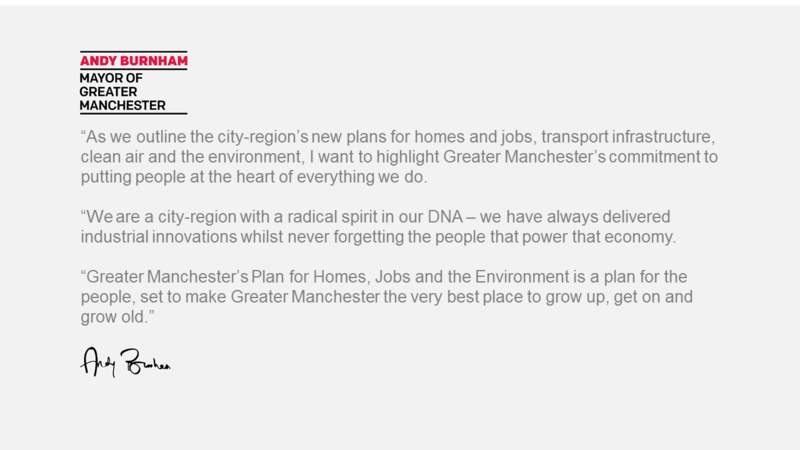 Greater Manchester's Plan for Homes, Jobs and the Environment: The Greater Manchester Spatial Framework, is all about making our city region fit for the future and one of the best places in the world to live, work and visit. Following this consultation, we will review all the responses we've received and consider how we need to revise the plan in light of what you’ve said. Our current timetable is for a second phase of consultation to take place in autumn 2019, and for a final, agreed plan ready to implement in December 2020. A number of events are being hosted across Greater Manchester. Stockport events are listed below.